Storm damage to your home or business from high winds, hail, fallen trees or ice dams can happen unexpectedly. When it does you can trust MI Disaster Team to provide you with prompt, efficient emergency storm damage cleanup. Storms and natural disasters can really wreak havoc on a property. We are experienced in dealing with all of the many aspects of restoring homes after a major storm or another emergency. MI Disaster Team quickly handles emergency restoration like roof tarping and the boarding up of doors and windows. We understand the necessity of securing a property after storm damage. Taking a detailed look at the entire property, MI Disaster will tackle all of the necessary jobs involving sealing and securing the building against unauthorized access, against wildlife and against water, an element that can quickly destroy the interior of any building. We know how to work effectively to stabilize the issues affecting the property and get it to a place where owners don’t have to worry about additional damage. We will walk you through the entire process from the initial storm damage consultation, the claims process, the storm damage clean-up, to the reconstruction of your property. 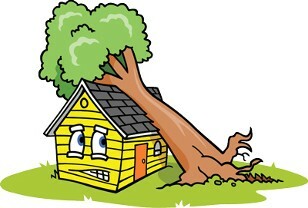 Contact MI Disaster Team for our storm damage clean up services to restore your home or business. MI Disaster Team handles emergency tree removal when a tree or limbs have fallen after a storm. Part of cleaning up a space after a storm is ensuring that the exterior and surroundings are clean, serviceable and presentable. We evaluate the site and bring an intelligent set of solutions to the table. Whether a tree has fallen on your house or heavy rain has caused your roof to leak, we can handle your roof and siding repairs. Our restoration specialists can tarp off your roof quickly to make sure that additional water does not come into your home. Roof damage can be dangerous, so it's important that our professionals can evaluate the extent of damage to your roof or siding. When water has, unfortunately, come into a building, MI Disaster Team will take the steps necessary for water damage cleanup and structural drying to restore a home or building to pre-storm condition. We handle water extraction, which requires using specialized equipment to drain standing water and remove moisture from a building's structure. Mold can form within two days of water damage, so it is important to call MI Disaster Team at the first site of water intrusion from storm damage. We are your #1 trusted company that people choose throughout Southeast Michigan for restoring your home quickly whether you are dealing with fire, flood, or storm damage. Providing storm damage cleanup in Southeast Michigan, including West Bloomfield, Canton, Commerce, Commerce Township, Detroit, Farmington, Shelby Township, Southfield, Westland, and surrounding areas.